In 2016, the west half of this restored prairie was burned and then grazed intensively all season. This August 2016 photo shows that most of the grass was very short, though at least some wildflowers were ungrazed. Here’s another August 2016 photo of the intensively grazed portion of the prairie. Note the grazed Canada milkvetch (Astragalus canadensis) plant near the lower left corner of the image. That species and rosinweed (Silphium integrifolium) are two of the favorites of cattle at our sites. As it happens, I collect data from this particular site every other year as part of a project looking at how plant communities respond to management within our prairies. To collect the data, I walk back and forth across the prairie and lay down a plot frame at regular intervals. I list all the plant species that occur within that one square meter plot frame each time I set it down. The data allow me to look at trends in individual species populations and at how species diversity/richness changes over time. Here is the data for deer vetch, which confirms my observation that it is having a particularly good year. In 2017, it showed up in about 35% of my sampling plots. The relatively steady increase of deer vetch over time made me wonder if other short-lived plants were acting the same way. I pulled out some of the more common annual and biennial species at that prairie and graphed them out. In order, the species on this graph are: small peppergrass, six-weeks fescue, annual sunflower, yellow woodsorrel, black medic, and deer vetch. Clearly, not all the short-lived plants were following the same trend as deer vetch, but it was striking to see how many had a peak in abundance in 2013, the year after our severe 2012 drought. That makes sense since the drought was pretty hard on perennial grasses and other strong competitors in the prairie. It created space for opportunistic plants to exploit. 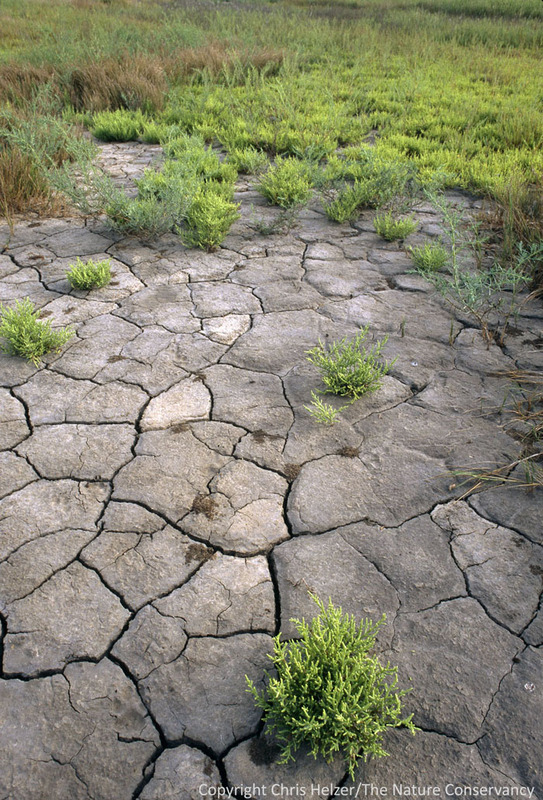 However, not all of the short-lived plants followed the same pattern of response to the 2013 drought. The plants listed on this graph are marestail, downy brome, and white sweet clover, though I lump downy/Japanese brome and white/yellow sweet clover together in my data. None of the three species in the above graph show any noticeable response to the drought. Instead, they each seem to be on their own path. 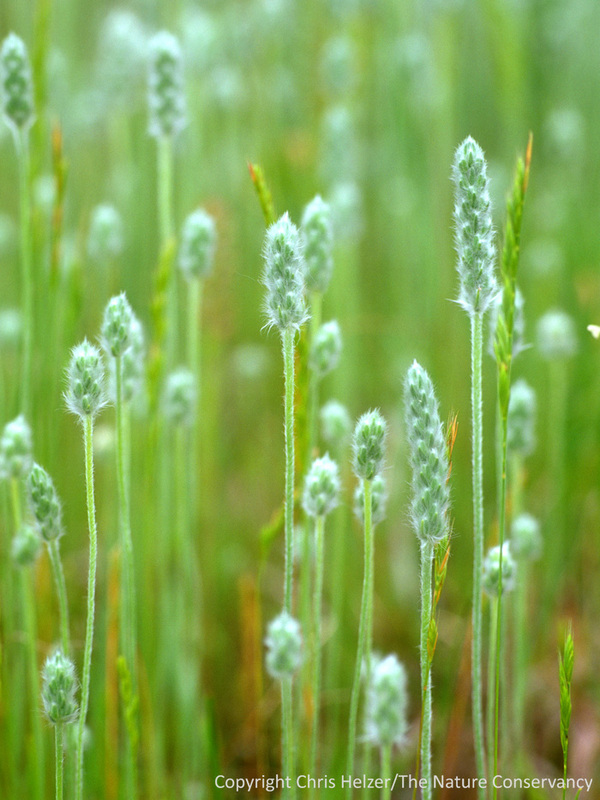 Marestail has declined significantly since the early days of the prairie’s existence, but had a resurgence (for some reason?) in 2015. Sweet clover has been persisting at relatively low levels during the entire life of the restoration, and annual brome has been on a steady increase, much like deer vetch. We’re far enough east that our average annual rainfall (25 inches/year) keeps annual brome from being problematic, so I’m not concerned about that increase, but I was curious whether or not deer vetch and annual brome were filling a gap left by the decline of other species. The species in this graph’s legend are Canada wildrye, big bluestem, Indiangrass, short-beaked sedge, and Kentucky bluegrass. Thinking maybe declining grass dominance might explain the rise of deer vetch and annual brome, I looked at how the populations of perennial grasses are doing at the site. In most cases, they are on an upward trend. The above graph shows some of the more abundant perennial grasses and sedges in the prairie and the graph below shows some of the less abundant species. (There are many more grass species not shown because they don’t appear often enough in my sampling plots to see patterns.) A glaring exception to the overall pattern is Canada wildrye (Elymus canadensis) which seems to be following the same pattern as it does in most of our restored prairies – it is very abundant when the prairie is young and then gradually declines to about 30% occurrence after 10-15 years. These less abundant (but still common) grasses are: Scribner’s panicum, switchgrass, little bluestem, tall dropseed, and smooth brome. By this point, I’d kind of forgotten why I’d started my journey, but after looking at annual plants and perennial grasses, it seemed logical to look next at perennial wildflowers. Some of those species have also been pretty steadily increasing over time, and may or may not be leveling off in recent years. Plants listed in the legend are western ragweed, wild bergamot, woolly yarrow, and stiff sunflower. Other perennial wildflowers have had much less predictable paths, with big jumps between sampling periods, during which they (at least) doubled their level of occurrence in my sampling plots. Interestingly, those jumps happened in different years for each species. Having data only from every other year makes it tricky to interpret these patterns, but it seems clear that each of these species is responding a little differently to factors such as climate, fire, grazing, and/or competition from other plants. These species are Illinois bundleflower, hoary vervain, stiff goldenrod, and heath aster. Many of the wildflowers shown in the above two graphs are species that I’d expect to thrive under patch-burn grazing. 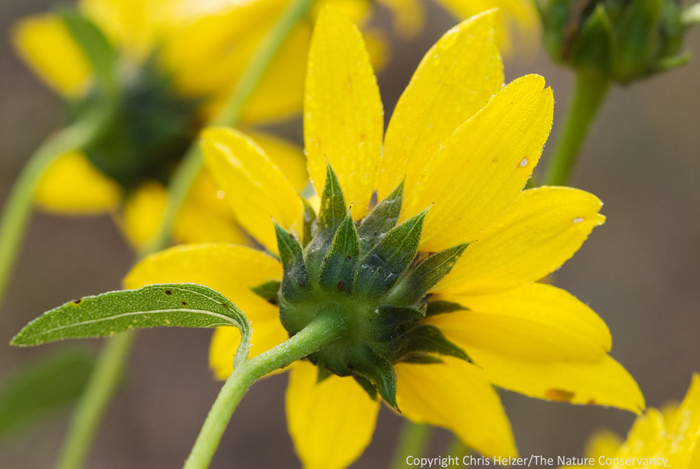 With the exception of stiff sunflower (Helianthus pauciflorus), Illinois bundleflower (Desmanthus illinoensis) and heath aster (Aster ericoides), they are plants that cattle don’t particularly care to eat. The plant species I watch most carefully under this kind of management are those that are favorites of cattle. The graph below shows those species maintaining very steady population numbers. None of them are super abundant, but they’re holding their places very well. Species here are white prairie clover (purple prairie clover shows a similar pattern but is slightly less abundant), Canada milkvetch, and rosinweed. Prairie clovers (Dalea sp) are certainly enjoyed by cattle, but rosinweed (Silphium integrifolium) and Canada milkvetch (Astragalus canadensis) must taste like brownies to our cattle – they are grazed down to the ground wherever they grow, regardless of whether they’re in the burned or unburned portion of the prairie. Because of the affinity cattle have for species like this, we periodically exclude cattle from our prairies for an entire growing season, giving those plants a chance to bloom and produce seeds, buds, and rhizomes. This is actually one of those years in which we’ve excluded cattle, and it’s nice to see abundant flowers from both the rosinweed and milkvetch. 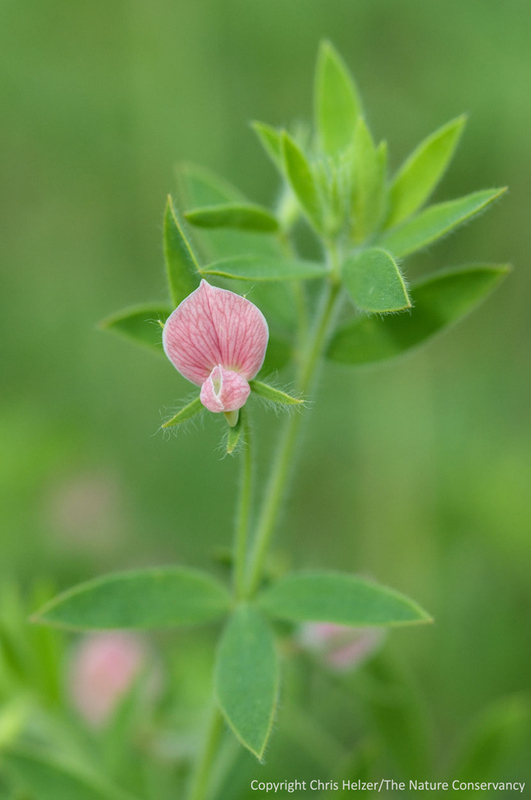 Canada milkvetch is blooming prolifically this year in the absence of cattle – it is shown here in the same area that was grazed intensively all last year and grass vigor is still suppressed. Of course, looking at how individual species are doing made me wonder how all those trends add up at the community level. Here is a graph showing how the average species richness (number of species) at the square meter level has changed over time. This graph shows the average number of plant species found in square meter plots each year. 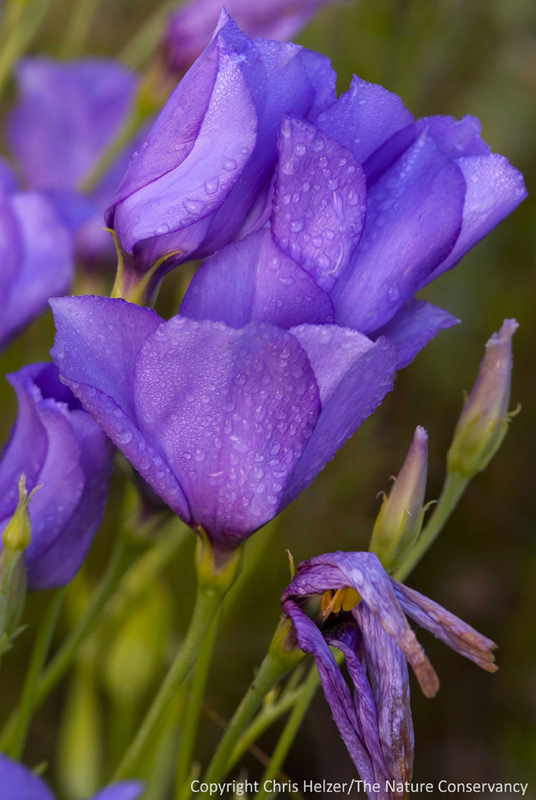 In our part of Nebraska, 10-12 plant species per meter is a very respectable number. It appears we may have reached a saturation point for species density in this site, though there is still variation from year to year. Looking through all of these data, I see two main themes. First, I see a restored prairie that is still finding its identity, even after 17 years. Some plant species are still increasing in their abundance (including many not shown here). I expect many of those trends to level off within the next several years as those species find and colonize all the little patches of prairie where they are well adapted to growing. That would fit with what seems to be a plateau in terms of species richness per square meter. I don’t see any plant species (including those not shown here) that have disappeared from the site, and only a few short-lived species that have declined precipitously over time – and even those still appear to remain embedded within the community, able to proliferate whenever the right conditions appear. 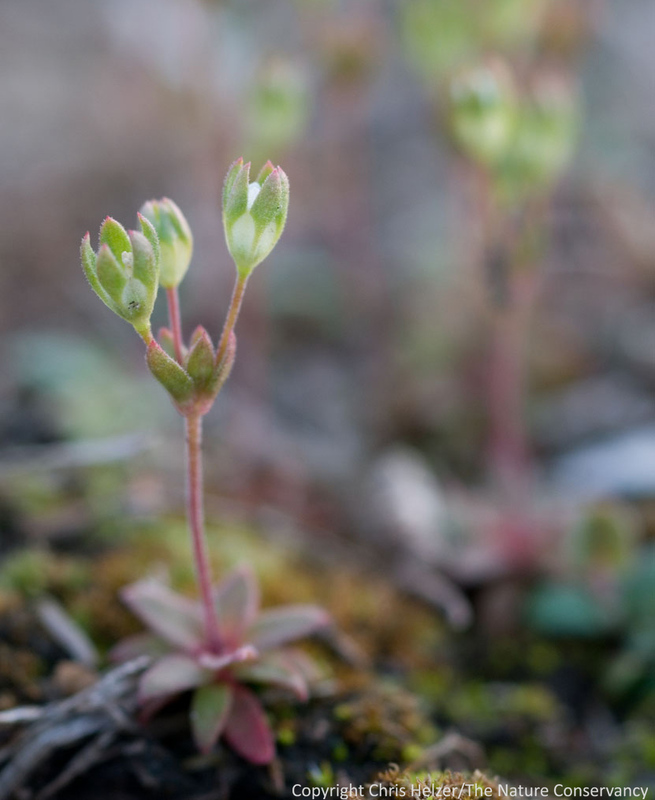 Second, I see positive signs of ecological resilience in the way many of these plant species have quickly increased and decreased their population sizes over time. Sometimes I can tell what conditions (fire, grazing, drought) might have led to those population changes, but other times I can’t. Regardless, the ability of a community to flex and adapt as conditions change is a key component of ecological resilience, and it’s really great to see that within a restored prairie. ……..What was I talking about again? Oh yeah, deer vetch. Yep, deer vetch is doing really well this year. Thanks for asking. One last photo of the area burned and intensively grazed in 2016. Rosinweed (yellow flower in the foreground) can be seen blooming throughout the site, along with many more opportunistic plants such as the pink-flowered wild bergamot.